How to Login Using Fingerprint as password in Windows? This Post will illuminate you a method with which you can secure your PC from unauthorized access by the use of Biometric password such as Finger Print, (loosing your finger print is not an option) Therefore, you always Keep Your Password up to YOU. Ans. Biometric is a method for identifying a user with some physical characterisctics such as fingerprint ,eye (retinal image)or face(face structure). Q.What Things Do we need to apply a biometric Password? Ans. Biometric Password can be applied by the use of Biometric devices which save the measurement of physical characteristics and compare it during login. 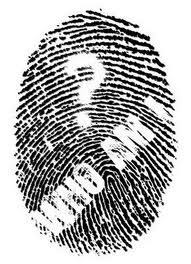 The most common Biometric Device is a fingerprint reader. 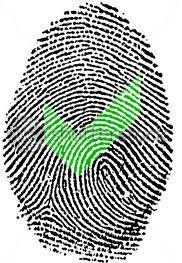 It takes the image of the finger print pattern and saves it and compare it. You can use a laptop with fingerprint reader or you can purchase a stand alone finger print reader and attach it to your computer. Q. How to apply apply a biometric password to Windows? Ans.Windows 7 support biometric password by the use of biometric password via use of a framework known as Windows Biometric Framework(WBF). 1. Click Start, then Control Pannel , then Biometric Devices. 2.Select the finger you want to use as password. 1.Its better to make 2 or more account with different finger as passwords taking in view the unintentional finger injuries. 2.Keep your fingers clean and dry to increase fingerprint recognition rate.